Enjoy the best of both worlds with our new Square-Bottom Gusseted Bags! 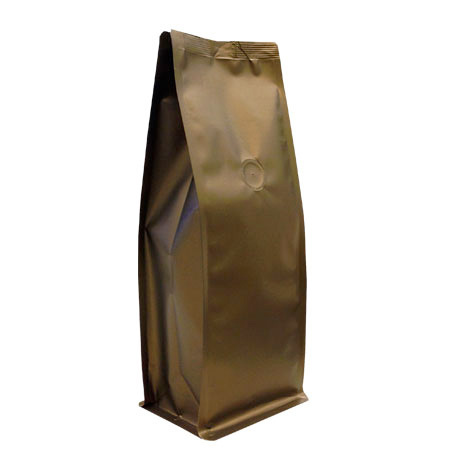 Now you can get the advantages of a traditional gusseted bag along with those of a stand-up pouch! 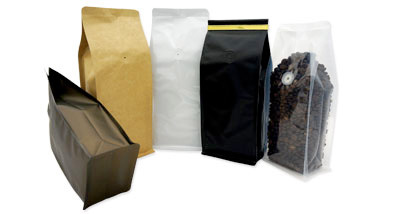 Perfect for ground or whole bean coffee and loose tea leaves, our new Square-Bottom Gusseted Bags allow even the lowest density product to sit narrow and sturdy on the shelves without every worrying about tipping over. 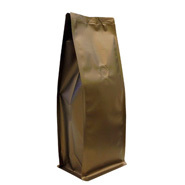 The paneled look of these bags makes them perfect for graphics, labeling, and hot stamping as well as degassing valve application. 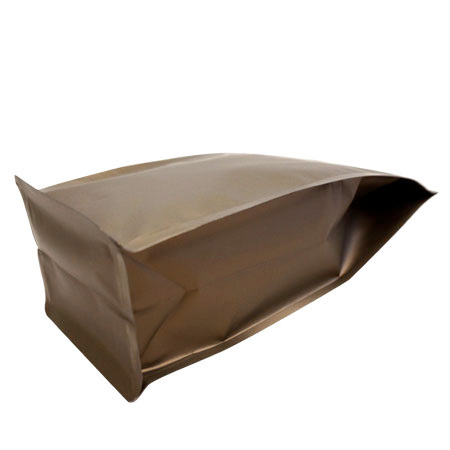 Available in a wide array of colors and laminated in foil or clear poly to meet any barrier requirement.These foil pouches provide an excellent oxygen, moisture and aroma barrier for all products. They are available in a variety of colors, with or without degassing valves. Degassing valves are designed to allow the CO2 gases generated by products such as coffee to escape without letting outside air back in. They are designed to keep your product fresh while also serving as a pressure relief system. Side gussets create rectangular "brick". Square Botton allows pouch to sit narrow and sturdy on shelf without tipping over. For best results with vacuum, use a sealer with top & bottom seal such as the WVT-455T.